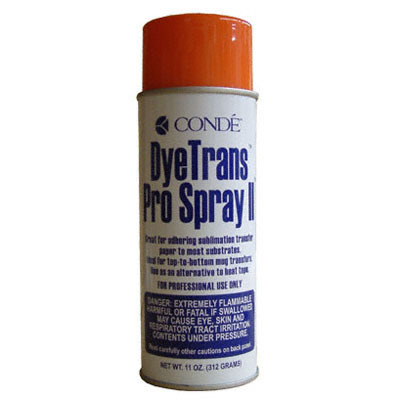 DyeTrans Pro Spray, 11 oz Can. Quite simply the fastest and easiest way for custom imprinters to achieve higher quality, sharper images during the transfer stage of the sublimation transfer process. 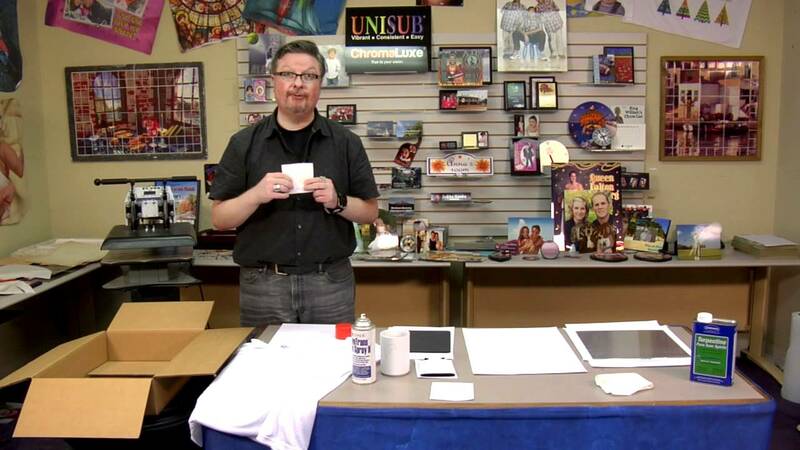 -Great for use on most substrates: mugs, glass, neoprene, tees, tiles, etc. Here are videos: condeTV.com on using ProSpray: "Using ProSpray", "Pro Spray Tips", and "Use and Care of ProSpray". This spray is amazing ! It holds the design in place on the product during the press stage and it only takes a light spray to accomplish this. I could not work without it. Thanks so much, Conde!! LOVE this spray. Used it to make koozies and it is a MUST! Keeps things where they need to stay so that you don't have to worry about it moving around.